Research by independent housing consultancy London Property Licensing has identified a serious compliance risk for landlords of Houses in Multiple Occupation (HMOs) in the London Borough of Harrow. On 1 December 2015, Harrow Council designated an additional licensing scheme that came into force on 1 March 2016 and continues until 28 February 2021. Whereas the council’s previous additional licensing scheme was restricted to HMOs that were two or more storeys in height and occupied by four or more people, the new scheme was widened to include all HMOs (read here). 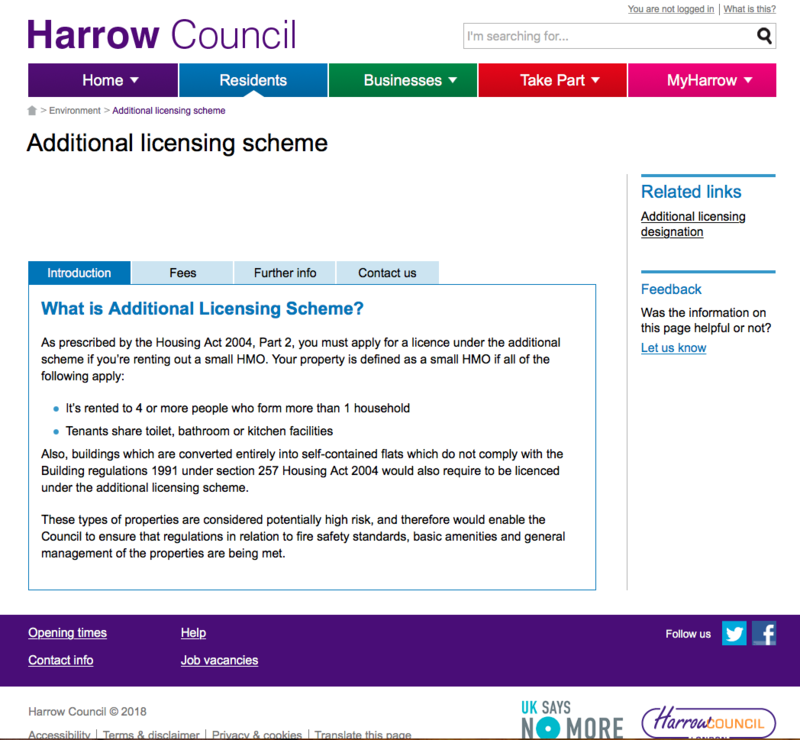 Whilst the London Property Licensing website was updated to explain the new scheme criteria, the guidance on the Harrow Council website said the scheme was restricted to HMOs occupied by four or more people. The council website screenshot pictured below was taken on 2 August 2018, over two years after the scheme started. After being approached by London Property Licensing, a council officer confirmed the information on their website was wrong and that the additional licensing scheme does include all HMOs occupied by three or more people. They said that the website would be changed immediately and the error has now been rectified. Whilst the difference between a threshold of three or four occupants may seem only a minor issue, the compliance risks resulting from this error could be significant. If the landlord or managing agent of a 3-person HMO has not applied for an additional licence, they may inadvertently be committing a criminal offence. This could result in prosecution and a hefty fine or a civil penalty of up to £30,000. 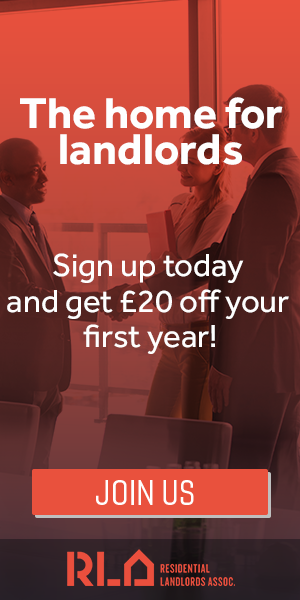 The tenants may be able to reclaim up to 12 months rent by way of a Rent Repayment Order and any section 21 notice of seeking possession would be invalid. Alternatively, if the property is within one of the three selective licensing schemes, the landlord of a 3-person HMO may have instead applied for a selective licence. That would be the wrong type of licence for the property and it cannot be transferred. The licence would need to be revoked and a new additional licence application submitted. Any landlords or agents who are adversely affected by this issue are being advised to act promptly to get the matter resolved. “HMO licensing is confusing enough for landlords without local authorities, who they should be able to rely on for advice, not getting it right. Where a local authority designates a new scheme it is incumbent on them to ensure that they provide proper advice about it”.